During this postdoctoral research, I investigated of the living cycads using nuclear and chloroplast gene data sets for divergence time estimation and statistical analyses of diversification to understand the relationship between cycad diversification and biotic and abiotic factors. This work was published in Science (Nagalingum et al. 2011) and also discussed in an accompanying Perspective piece (Renner 2011). My postdoctoral studies focused on the heterosporous ferns, which comprise Salviniaceae and Marsileaceae. I conducted molecular phylogenetic analyses of Marsilea, Pilularia, Salvinia, and a combined data set of Salviniales (Nagalingum et al., 2007; Nagalingum et al., 2008). Through these phylogenies, I assessed species relationiships, biogeographic patterns, and morphological character evolution. Using morphology and anatomy, I investigated the homology of heterosporous fern reproductive structures traditionally called 'sporocarps' (Nagalingum et al., 2006). 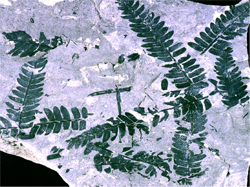 For my dissertation in paleobotany, I investigated ferns from the Early Cretaceous in Australia and Antarctica. For the taxonomic component of my dissertation work, I described 25 fern species, and of these 11 are new species. 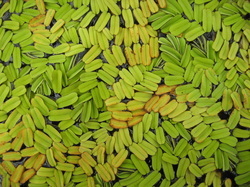 This work is presented in three publications: one detailing the Gondwanan components of the fern flora (Cantrill and Nagalingum, 2005), another documenting two new species belonging to the extant fern families Matoniaceae and Gleicheniaceae (Nagalingum and Cantrill, 2006), and a third describing a new genus for fossil Marsileaceae from Australia and Antarctica (Nagalingum, 2007). To examine floristric trends in Australia during the Cretaceous, I compiled a large database of over 10,000 records of spore and pollen. Diversity and abundance data were analysed for free-sporing plants, gymnosperms, angiosperms, and ferns. This research showed that the timing of the angiosperm increase in Australia was delayed compared to North American trends, while gymnosperms did not decline in diversity and abundance. 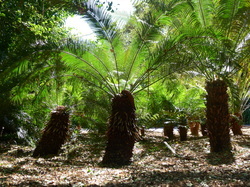 Interestingly, the large decline in free-sporing plants is attributable to only some fern groups, and other fern groups radiated at this time (Nagalingum et al., 2002).